Family practice physicians are moving towards managing obesity. Not only does this create an extra revenue stream for the physician, patients need it. Patient comes in for her annual check-up. Doctor says, ‘You need to lose weight. You’re at risk for diabetes, high cholesterol and you already have sleep apnea.’ The patient says, ‘Ok. I’ll work on that.’ The following year the same conversation takes place. And this conversation happens again and again and again. You’ve spent years learning how the body works and how to fix it. You’re aware of the latest trends in obesity medicine. You know the treatment protocols. And you have the tools to help your patients improve their life by losing weight. Half of your family practice patients are overweight. Maybe you’re already telling your patients about your new weight loss program. In fact, you may already have a thriving weight loss side-business. But how do you grow that business? How do you give your patients a way to stay connected and motivated in-between appointments? You didn’t go to business school. And you don’t have time to create a new website to showcase all that your weight loss program offers. And even if you do create a great website how will patients find it? And how does a website get people into the office? A flier is nice but it doesn’t give the patient faith in your program. It doesn’t show your resources and your commitment to the patient’s success. There are a ton of very cool tools to track body fat. You could spend thousands on the latest gadgets to outfit your new program. But those tools are worthless without patients. There is a way to show off your resources, get more patients, and give your patients a tool for weight loss success. It’s with an app from BariApps. Here’s how your new program works in two examples. The app is free in the major app stores and it’s listed under your name and brand. Because the patient does need to lose weight and is playing on his phone anyway, he decides to discreetly download your app. After downloading your app, he see’s that you have a nutrition tracker. He is able to track his exercise, access recipes specific to your program. He can click a button and make an appointment. He is able to buy your supplements via your online store. He learns about your program and how he will lose weight with your support. He see’s that you or your staff is available to answer questions. After his appointment he asks you about your weight loss program. You sign him up and get started. Patient comes in for her annual check-up. You tell her that she needs to lose weight. You hand her a ‘referral card’ (BariApps creates these for your program) for your app and let her know that you have a weight loss program. At a minimum, she should track her food intake with your app and make a follow-up appointment to review her food log. Before her next appointment you log-in to BariApps webadmin and see what she has eaten over the last 30 days and make suggestions based on that history. Your patient is very impressed and signs up for your program. Now that you know how you can get your current patients on your weight management program, let’s take a look at finding new patients. The Endocrinologist wants his patients to lose weight to better manage their diabetes. The ObGyn wants her patients who are struggling to get pregnant to lose weight to improve fertility. The cardiologist has patients that need to reduce their cholesterol. 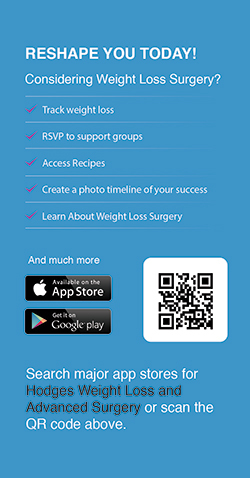 As I mentioned BariApps creates custom referral cards for your weight loss program. These are 2 x 5 inch cards that show your app along with a tagline on the front along with some information about the app and how to download it on the back. 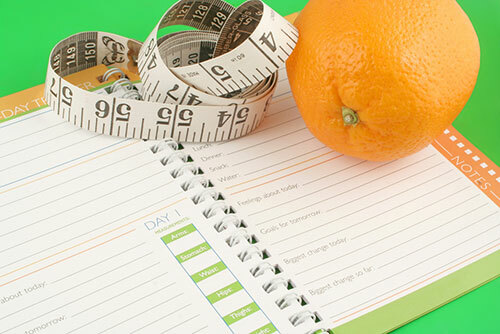 Here’s how you drive referrals to your new weight loss program. Print the referral cards in bulk. Drop off 50 to 100 of these at potential places of referral. Try to meet with the physician and let them know about the app. Let them know their patients are more than welcome to use your nutrition tracker and exercise tracker for free along with the recipes and other useful information in your app. And if they want to get started with your physician supervised weight loss program they can with the tap of their phone’s screen. Referring physician see’s patient that clearly needs to lose weight and better manage their diet. Instead of giving the patient a phone number and a name to call that almost always gets lost or forgotten, your referral card is handed out. 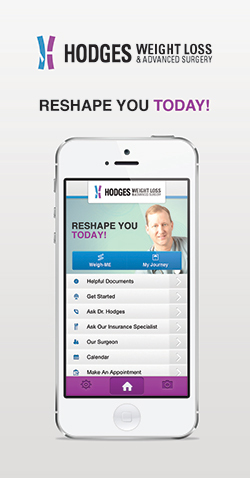 Patient immediately downloads your app before they leave the referring physicians office. Later that day patient is scrolling through their phone before bed. They see your app icon and decide to check it out. They watch a video about your program and click a button to request more information. Your office receives an encrypted email that tells you to call this person. Your scheduler calls and sets up an initial consultation. Now those doctors have a tool and a real resource to help their patients lose weight. You. Here’s an interesting tidbit. When patients visit their physicians (any specialty) they are prepared to hear, “You need to lose weight.” They expect it and know it. But don’t do anything. That’s why physicians can refer 100 people and maybe 10 of them will actually make an appointment. It often takes a bad day to get them to take action. Not being able to keep up with their kids or being too embarrassed to get on the dance floor with their friends. Not fitting in the seat on a roller coaster. It’s these events that lead people to action. When they do experience these ‘bad days,’ your app is the first place they’ll turn for help.